You are viewing articles tagged women. 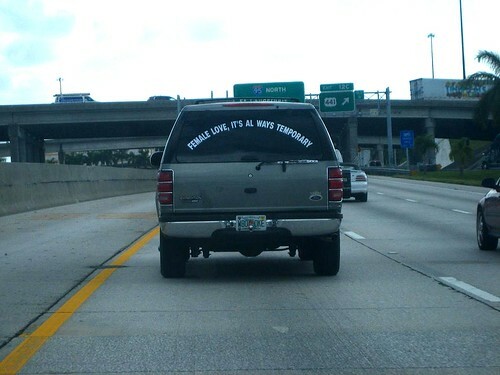 “FEMALE LOVE, IT’S AL WAYS TEMPORARY” And getting it painted on your cars is the best solution? I don’t know what she did to you, buddy, but it’s time to let go a little.